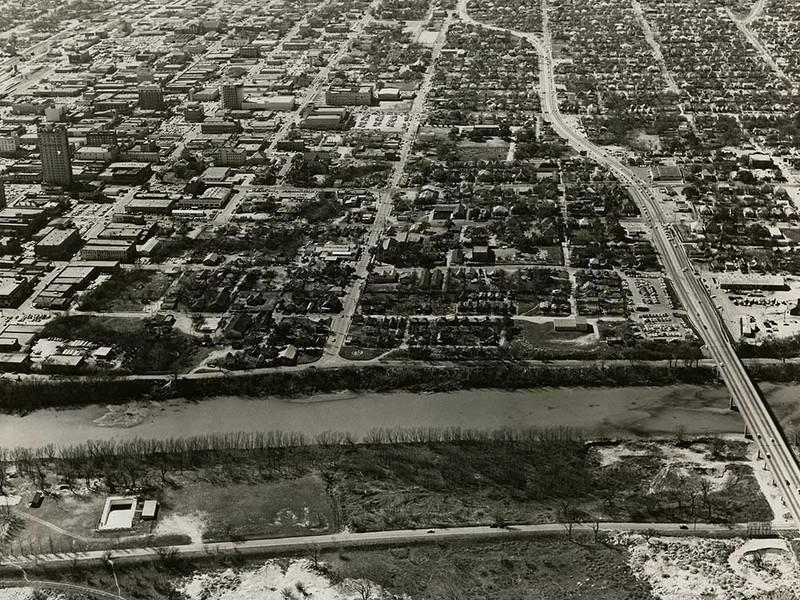 Located in the middle of this aerial photo, "La Pila" is just off the banks of the Brazos. Its circular foundation visible. In Waco during the 1900s pockets of Hispanic communities lived in neighborhoods with names like Sandtown, White City and Calle Dos. These areas were eventually demolished and are now memories of the town’s early days. But there has been a recent effort to unearth a remaining vestige of one of these communities. “It was a beautiful fountain, but not as ornate as some of the other ones," Alice Rodriguez says, remembering childhood days playing at “La Pila” – a wide, rounded concrete fountain with a bowl on top where water would flow. La Pilla – Spanish for “the fountain” – was a gathering point for Calle Dos, an early 20th century neighborhood in Waco that was home to Mexican Immigrants. Others from around the city would go there too. But, in the 50s, La Pila was plugged and covered up. In fact, the entire Calle Dos neighborhood and similar districts – were bulldozed as part of The Waco Urban Renewal Project in 1958. Louis Gaytan-Garcia – who has worked to dig out the fountain – says it could’ve been saved. A year ago, when the unearthing project was getting started, Garcia was told he needed to secure antiquities permits from the Texas Historical Commission. That’s where Katherine Turner-Pearson comes in. She's the principal investigating archeologist overseeing the project. She believes excavating “La Pila” will help bring back the memories of this neighborhood. “I think of it as the archeology of the memories, and get those down now. They will be lost forever," Turner-Pearson says. "Even though I’m an archeologist, that to me is more important that the fountain itself, and that’s really where we have to start working." "That’s kind of why it takes so long too," she says, sweeping up dirt. Sonntag is from the Dallas area, but came to help. She says excavations like these are done slowly to make sure everything is exhumed evenly. “Then you stop, do the paperwork, sift through everything. Take photos if there’s anything photo worthy. When we get down to this part of the fountain, to the rim, we’ll definitely take a photo. Then we’ll start all over again and go deeper." Once the fountain is dug out, Garcia has big ideas, like getting it restored and turned back into the meeting spot it once was. He would also like a historical marker – he says – to remind people of the community that was once here. 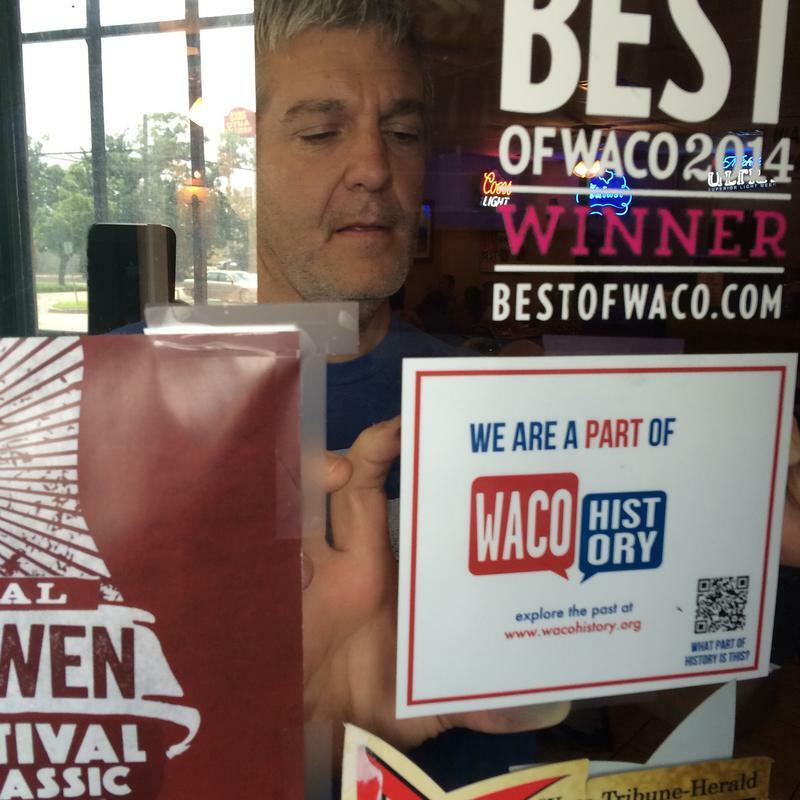 Around Waco and McLennan county you’ll find lots of different museums – there’s the Texas Ranger hall of fame, the Dr. Pepper Museum, the Red Men Museum – the list goes on. But what’s missing is a site dedicated to local history. That is until recently - and it fits in the palm of your hand. 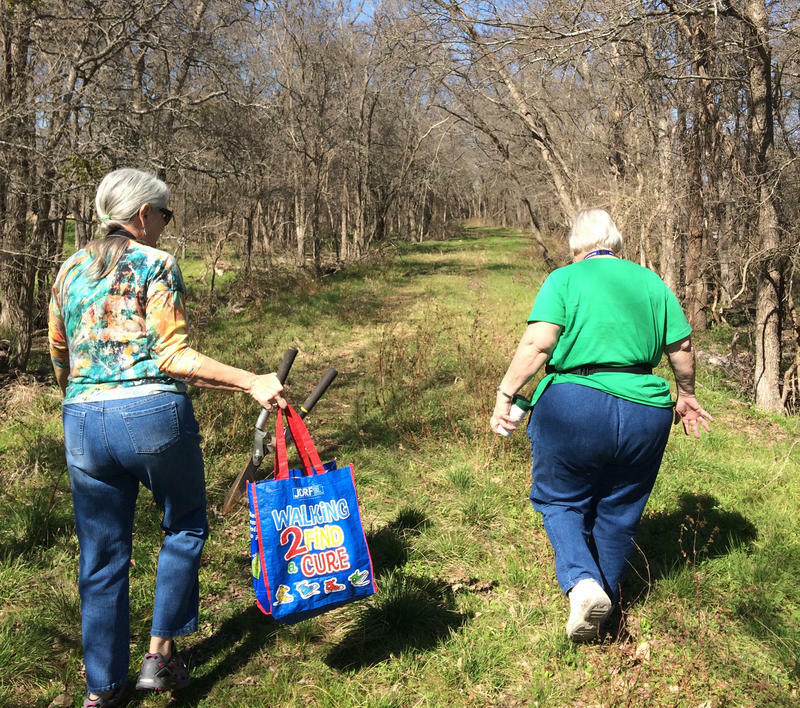 Since last October, two local women have been working to record and document every cemetery in McLennan County. The task has taken them from larger cemeteries in the county to single-graves in cow pastures. The duo have documented 120 cemeteries so far.